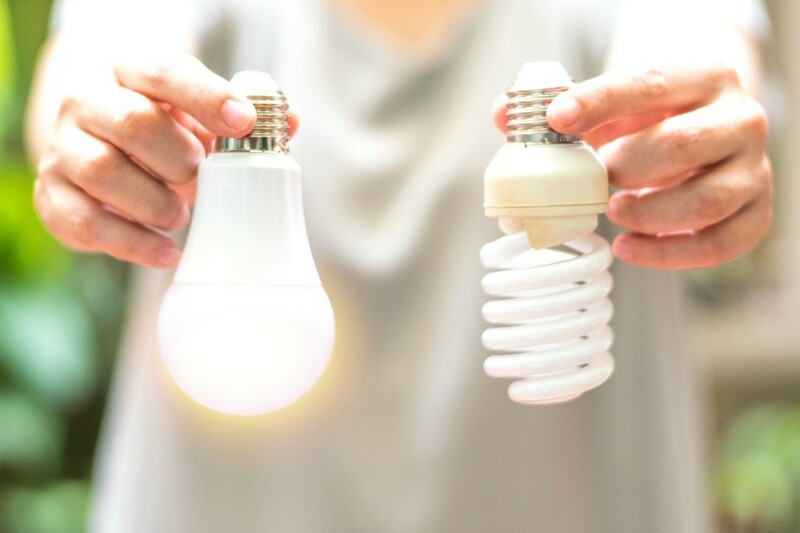 Most people have replaced their traditional incandescent lightbulbs with energy efficient alternatives, such as CFL (Compact Fluorescent) or LED (Light Emitting Diode) bulbs. Each type has different pros and cons to consider when choosing a bulb. 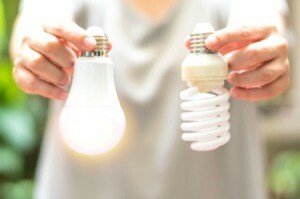 This guide is about comparing CFL and LED lightbulbs. I have three 48 inch double fluorescent lamp fixtures mounted under an upper kitchen cabinet. I use them to start seedlings during late winter. Over time, all the 40 watt lamps have dimmed. Even when new, these 6 lamps did not produce near the light my plants needed. At a cost of $30.00 to replace all lamps. I decided to go a different route. 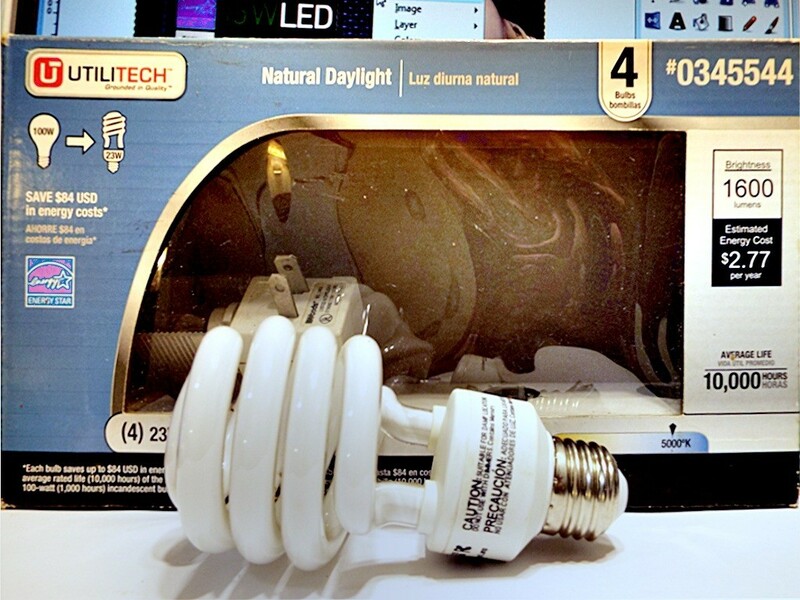 For several years, I have been using CFLs in my home, even before the advent of LED lamps. I was satisfied with them, except for the price. $3.00 per lamp was just to much (in the lighting industry, which I was a part of for 10 years, the bulb itself is called a lamp). I wanted to make a gro light fixture using CFLs but found it cost prohibitive. I put the project off for 3 years. Then I came across low cost LED lamps at Dollar Tree. I found 9 watt (60 watt eq) LED lamps for a dollar each. I bought 24. On a recent visit to Dollar Tree, I found they now have 15 watt (100 watt eq) lamps, also at a dollar each. I bought 10. With all these lamps on hand, I decided to do a comparison of the CFLs and the LEDs. Here is what I found. All figures are based on 100 watt eq lamps. Average cost of one 23 watt (100 watt eq) CFL = $3.00 (as of 5 years ago). 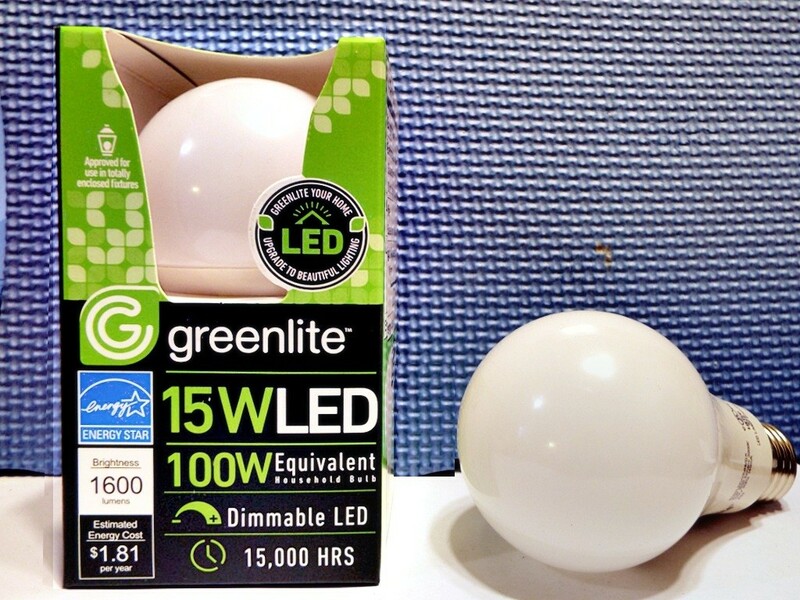 Average cost of one 15 watt LED (100 watt eq) (Dollar Tree) = $1.00. Average lumens for both = 1600 ( I found the LEDs actually appear brighter). Average operating cost for CFLs (at 3 hrs/day) $2.77 per year. (Figure is 5 years old). Average operating cost for LEDs (at 3 hrs/day) $1.81 Per year. (Figure is current). (When using as many lamps as I plan to use, the savings will really mount up). These figures convinced me LEDs is the way to go. But there's more. A feature I will not use is, LEDs (at least the ones I bought) are dimmable. While the lamps I compared had a 3000k and a 5000k color temperature with the LED being the lower, I could discern no color difference when burning both side by side. Maybe most important of all, LEDs are mercury free! I see a declining market for CFLs. Fewer purchases, higher prices. Unless I'm mistaken, there's currently nothing on the market better than LEDs, except for solar powered lamps; and only then if you live in specific areas. My husband is in the lighting business and he totally agrees with all the info provided. Thanks for the break down of usage. As a firefighter, I can tell you I know of 3 fires started by a cfl. I don't trust them. LED lamps can be used for outdoor motion detector lighting. Unlike the CFLs, they light instantly even in very cold weather. I also found that 4 Watt LED lamps are sufficient for the motion activated lights. Good point. They are bright instantly and don't go through a 'warm up' period. I prefer the cooler colors and Amazon has the 5000k 100 watt eq, but they are $3.00+ ea. (My new LEDs @ 3000k are just a bit cooler in color than my older CFLs @ 5000k).